You want to know more about Barbies Princess Shoes? 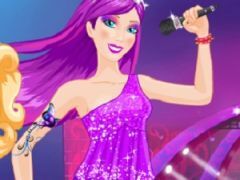 If you did not know this about your favorite Barbie character, then you should know that she's a huge Disney princess fan, and she wants to design and decorate her very own princess pair of shoes, so, come and play this new game Barbies Princess Shoes, a beautiful dress up and decoration game specially uploaded on the site gamesonlinekids.com. Come and join your favorite character named Barbie and let's help her out by first choosing the pair of heels design and decorate it using cool shoes decorative items. Once you've created the perfect pair of shoes, you girls will have to dress up your beloved Barbie character using cool princess gowns that will suit Barbie very well, for sure. 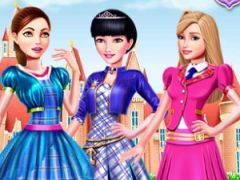 Barbies Princess Shoes is a super interesting and new decoration and dress up game, and we've specially uploaded on the site gamesonlinekids.com mainly for your entertainment dearest girls, so, let's test your fashion skills within this new game, and make sure that your favorite character, Barbie, gets the princess looks that she want. 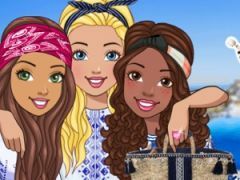 We assure you girls that you're about to have such a good time along with your most beloved character Barbie, that's why we wanted to offer you the chance to join her within this lovely new decoration, design and dress up game. Enjoy playing Barbies Princess Shoes! You want to find more about Barbies Princess Shoes? The Barbies Princess Shoes game has part from Barbie Games. This game is played by 99 times, have 1 votes (1 likes and 0 dislikes) and his added 06 December 2018.